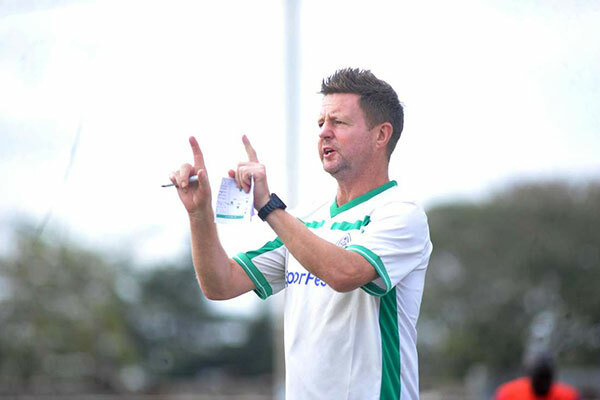 Gor Mahia coach Dylan Kerr attended the match between Harambee stars and the Ghana Black stars. After the match he was full of praise for three of his charges who played in the match. On Joash Onyango, he said that the tackle that earned him a red card was necessary. “I thought they were fantastic. Joash had to make that tackle. I have just been in the dressing room and I told him not to feel sorry. You made that tackle. You got red carded but you took one for the team. ” said Kerr. Kerr was also full of praise for Kahata and Philemon Otieno. Harambee stars coach Sebastian Migne if furious about the lack of ‘professionalism’ in Kenyan football after Harambee Stars Captain Victor Wanyama and 13 other players failed to show up for the Africa Cup of Nations Qualifiers against Ghana despite calling up a big provisional squad of 38 players. @Jakoyo, I do not think whether you are a real football fan or a night runner or a cricket fan or a handball fan or an idle man or empty brain. Your postings are always contrarian. My best advise to you is to seek solace somewhere else where you can contrarian and emptiness can be reflected. In my opinion keep Wanyama away from Harambee stars. He has never impacted the team and I do not think Harambee stars will miss him. I’m sure those 13 players kept away from an “imminent embarrassment” that in any case never happened. But this is the time for the coach to look elsewhere if he is worth his salt. It’s about tactics more than anything else. I do not know what sulking is going to achieve. Read about Fabisch. Take not that the players boycotting is also an indicator that they had no confidence in you. After losing to India what did you expect. But you have shown some light so be the big guy and let them come back. Coach Kerr on the other hand please stay in “your” kitchen”. Do not forget that you could not beat Algeria and Rwanda clubs. Your excuses do not hold. Gor was aware that the league had to end early so postponements were out of question. Gor as a club chose to enter those tournaments. We had doubt with Migne but at least he has “earned his salo” by beating Ghana. I’m sure alot of us still have confidence in you. Start planning on how you will fight the CafCL 2019. Have the EC talk with Sportpesa on the timing of the tournament and let it be only for the four clubs they sponsor. So long as the EC enter tournaments out of greed as opposed to strategy then expect more problems. Bless you Kerr for ever supporting the players. And in news further afield, Gor Mahia players have boycotted training for the second day running citing unpaid August salaries. For those who always say running a club like Gor is an expensive venture so we should never ask about finances forgive me for asking: Have we exhausted the 12 million we were paid for Walusimbi and secondly, did Sportpesa stop sponsoring Gor Mahia? I hear the problem.is that AR is away and hence nothing works. Who’s the chairman of kpl currently? Kerr should blame the right person and not kpl and fkf in totality.The only loudest music pleasing to the ears if this greedy EC is boycott. Players should stay put until paid their salaries, no money no work. Utamu wa kazi ni pesa.